Michael's curriculum website is my one-stop shop for all things new curriculum. 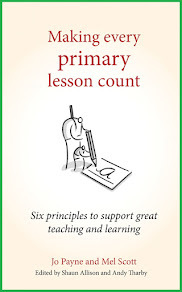 This lays out the whole 2014 UK Primary Curriculum in a simple but easy-to-navigate format. Whenever my team are considering which objectives we are yet to cover or exactly what we should be teaching, we always make a quick check to this website. I have previously written about how discovering Trello has literally changed my life. As a self-confessed to-do list junkie, this online tool, which syncs across browsers and apps, has meant I can mostly ditch the paper-based lists. Read all about it here and then sign up and start saving time! Rob has created a brilliant site full of short video clips. These are ideal for inspiring writing and reading activities as well as being a lot of fun for kids. Clips are organised by genre but are easily searchable. Rob has also kindly included many curriculum ideas based around the videos. If you ever needed any proof that music inspires productivity, just watch my children tidy up with and without this countdown created by Russel. The Mission Impossible and Star Wars countdowns are our favourites but I also like introducing the children to some other famous pieces of music included for longer countdowns. Some may ask why I require two separate timers on this page. Honestly, I've never really thought about it but I use this site almost daily as well. It contains a countdown and a stopwatch, can be used in full screen, and it can be inserted into PowerPoint presentations with a simple understanding of Flash and HTML. I use this to countdown our times tables tests, arithmetic papers and for a silent timer (it simple rings when the time is up). The stopwatch can be used to time how long it takes to complete various loop cards around the room and get ready for lessons or events, always aiming to beat our previous times. These maths teaching resources, which originate from the now-extinct 2002 National Numeracy Strategy, may seem quite old-school. The NNS has since be replaced and archived but these interactive teaching programs can still be used to teach many elements of the 2014 curriculum. When we start a new unit, I always check here to see if there is a simple, pictorial way of demonstrating the new concept for children. As well as the interactive hundred and multiplication squares, the Fractions and Thermometer ITPs are particularly useful. Wibki is an online bookmarking tool which makes it easy to provide links for children to access from various devices. Websites can be organised into sections (on the left) and Wibki automatically finds the logo to go with each link. It is completely free to sign up and children just require the URL to access the bookmarks. Only the teacher with the login details can edit the Wibki page. I have yet to find a bookmarking tool which does a similar job but better. If you don't have Pinterest, there's a good chance you're a hoarding teacher; keeping things just in case you may need them later in your career. Whenever I find a brilliant teaching idea (or recipe!) on the internet, Pinterest is the place I go to save it. Using virtual pinboards, you can save images and return to them at a more appropriate time - no need to print and file. 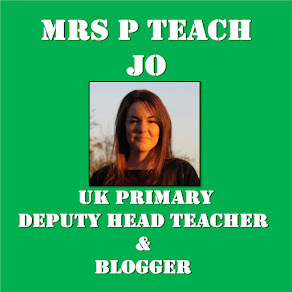 I've written about the Wonderful World of Pinterest and how to use it as a primary teacher here. The BBC have an extensive selection of resources based on many subjects and topics. There are teaching tools, interactive sections and revision games. If I had to only keep one part of their site, it would have to be the Dance Mat Typing section. As a child, I learned to type using the Mavis Beacon CD Roms - the free, online BBC lessons follow a very similar pattern and children feel they are making progress very quickly.